We are all settled in! We are having such a great start to a new school year. Thank You for entrusting your children to us. Please review the calendar carefully, there are several very important meetings coming up. Please remember, parents, are welcome to call our office with any questions or concerns. We are happy to help! This month there is No School on Friday, September 01, 2017 and Monday, September 04, 2017. Everyone must use their official carpool number/sign, (this means made in our office with the official Legacy Academy logo). As of Thursday, August 31, 2017, after that, we will require you to come into the office with your driver’s license to retrieve your child(ren). We can no longer allow you to give your name and we can no longer allow hand written carpool numbers. This is for the safety of all children at Legacy Academy. Please call the office if you need carpool number made up, give your number and the color you will need (green for front door pickup and red for back door pickup). Monday, September 11, 2017, is Patriot Day Observation 8:00 am in the gymnasium. Please invite all your friends and family who serve or have served our country in the armed services, firemen, and women, nurses, doctors, police officers, teachers etc. to our celebration! All children involved in a community service oriented club may wear their uniforms including Girl and Boy Scouts, AWANA, ROTC, etc. on this day. We are still looking for donations of brunch items for our celebration. All donation costs and time count towards volunteer hours. Please bring in disposable containers, or label your containers with the first and last name. Please remember, students needing a hot lunch must place an order by 8:30 am each day. Keep this in mind if your student is coming late. Make checks payable to “Elizabeth Lunch Program” for lunch accounts, and add the name(s) of your student in the memo along with their grade. If students are bringing in cash they need to have their money in an envelope with their name, grade, and teacher on the outside. Student meals cost $3.50, students who want seconds on their entree are charged an additional $2.00 per meal. Adult meals are $4.00 and milk is .50 More information about our lunch program and free and reduced lunch applications can be filled out at ??? Parents who qualified for the program have only thirty days to reapply without losing benefits. Pay online www.payforit.net . For questions about your student’s lunch account please call Cathy Breaux 303-646-2636 ext. 1035. We are still looking for donations of brunch items to feed all of our community service workers for our Patriot Day Observation on Monday, September 11, 2017. We could really use completely cooked/still warm egg and meat dishes, fruit platters, bacon in a crock pot (fully) cooked. All donation costs and time count towards volunteer hours. We will pick up items during carpool on Monday, September 11, 2017, so you or your student does not have to worry about getting the items into the school. Please bring in disposable containers, or label your containers with the first and last name. Please e-mail Ms. Anne if you can help at anne.stanley@legacyk8.org. If you are a working family who has difficulty getting your volunteer hours taken care of during the school year, we are looking for a team of people who would be responsible for keeping our property mowed and trimmed throughout the fall. We could really use some people with a tractor and brush hog (field mower). Please e-mail Ms. Anne if you would like to be a part of the team anne.stanley@legacyk8.org. Vision and Hearing screening is scheduled for the month of October and will last two days. We can use up to ten volunteers a day. We will train you if necessary! 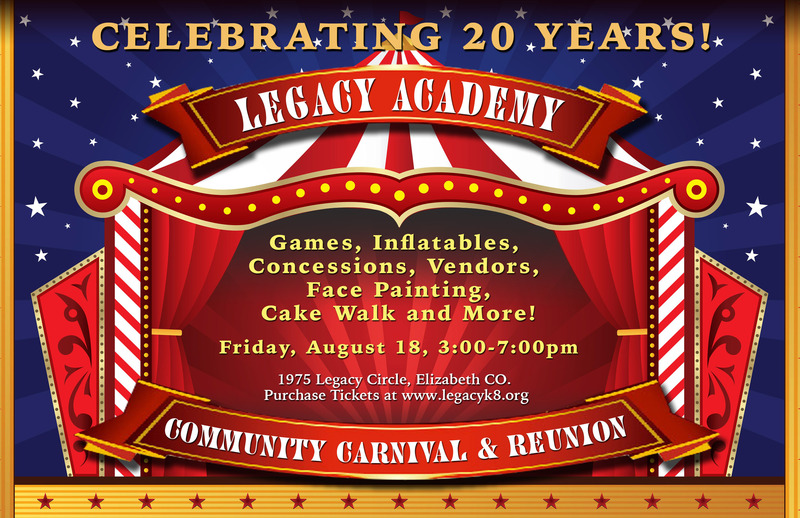 If you are interested in volunteering, please email renee.stubbings@legacyk8.org. Having trouble getting opportunities to volunteer at school? Make a cash donation to our ROAR awards program. Just send a check to the office and mark ROAR in the memo. Every ten dollars counts as one hour and goes to an excellent cause. See below. Sign up on our website for Help Counter to register your volunteer hours at HelpCounter.net. Look for volunteer information under the school resources tab. Log volunteer time through the PTCO page (look in “about Legacy”). This school year Legacy Academy is focusing on building character. School wide the students are asked to R.O.A.R. This means students are asked to be Respectful, On Task, Appropriate and Responsible. Students who show R.O.A.R behaviors are awarded an R.O.A.R Award. Then 12 R.O.A.R awards are drawn every month and those students will have ice cream with Mr. Naber. Beginning Band (first-year players, fifth through eighth grade): There will be a meeting for anyone interested in Beginning Band from 3:25-4:25 pm in the music room, parents may also attend if they wish. Parent meeting for Coed X-Country (6th through 8th grade) in the Legacy Computer lab 5:00 pm-5:30 pm. Fifth Grade Community Challenge Field Trip. 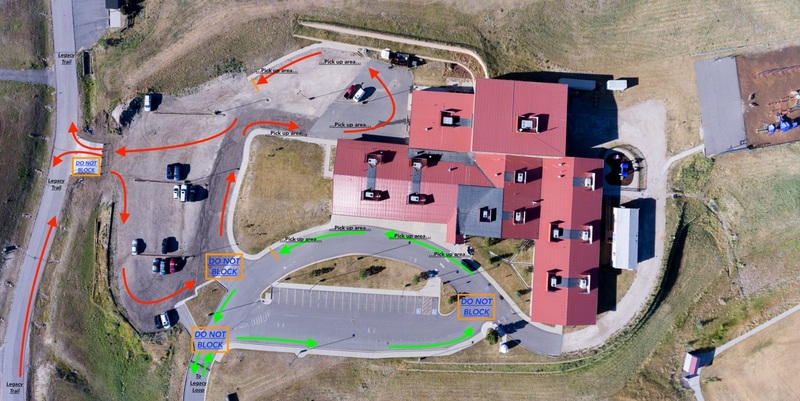 5th-grade students will travel by bus to Casey Jones Park in Elizabeth, CO to join other fifth graders in the district to practice team building. Mandatory 8th-grade parent meeting for DC/New York/Phi at 5:00 pm in Mr. Bruner’s Room, room 107 (third classroom on the left down the middle school hall). (Rain Date) Fifth Grade Community Challenge Field Trip. Middle School Dress of Choice. Middle School students are allowed to wear their own clothing as long as it meets the dress code guidelines. We are hosting a “Farm Days” event on Friday, September 22, 2017. Each classroom and homeschool will have an opportunity to go to the fields at Wild Pointe to see all types of farm animals and learn about farm life as well as where our food comes from. This will happen the between 8:30 am and 12:00. Please send your child a cookie/milk alternative to eat following their tour, if they have diet restrictions because each student will eat a cookie and drink a carton of milk. See You at The Pole, 7:00 am This is a student lead prayer time around the flag pole that is a global activity. Students and parents, please bring a breakfast item to share and come to the cafeteria for a quick breakfast at 7:00 am and then gather around the flag pole at 7:15 am to pray for their school, friends, churches, and community.